I recently tried to reconstruct codicologically a White Monastery manuscript on the basis of several parchment sheets spread among several libraries. I have not yet managed to identify their content, but the text suggests that they belonged to certain church canons. To find some possible parallels, I went through the canons used by the Egyptian Church. Thus, among other things, I read again the so-called Canons of pseudo-Athanasius of Alexandria, and I find useful to treat hereby some problems related to the Coptic version of this text. 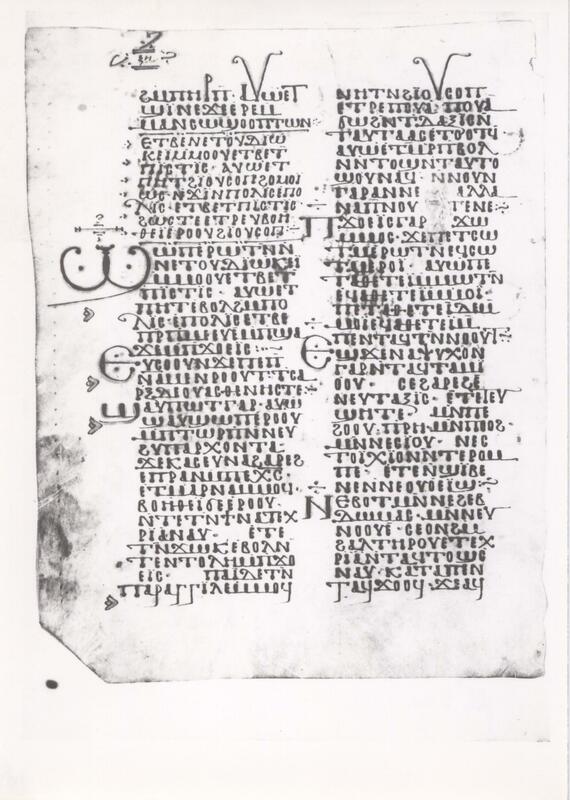 Last but not least, I would like to add to the known witnesses of pseuso-Athanasius’ Canons a new Sahidic fragment, which is part of the Coptic MSS collection in the National Library in Vienna. The Canons of pseudo-Athanasius (CPG 2302; clavis coptica 0089) offers a series of precepts for the clergy, often interspreaded with passages of homiletic character. Even if the authenticity of this work cannot be proven, it must have enjoyed some popularity in the Egyptian Church. 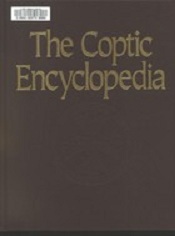 The full version has been preserved only in Arabic, which is a translation from Coptic. 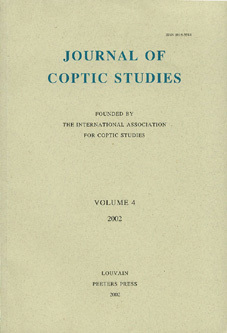 In its turn, the Coptic text is thought to be based on a lost Greek original. 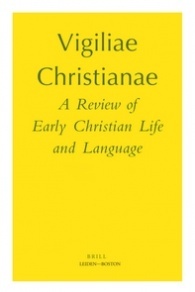 A good survey of this issue is given by René-Georges Coquin in the Coptic Encyclopedia. But I, poor Michael, who am not worthy to be bishop of Tinnis, held it right, when copying (or translating) it, to examine it and divide it into 107 sections, so that each section should clearly show its contents and that all who seek (therein) anything should easily and conveniently find it. Indeed, the known Coptic manuscripts give a continuous text without any division of the canons. The Arabic version was published by Wilhelm Riedel in 1904. In the same volume, Walter Ewing Crum edited the surviving Sahidic portions of the text, on the basis of two fragmentary codices. The first is an old papyrus manuscript dating from the 6th or 7th century. The other copy of the Canons known to Crum is found in a parchment codex which belonged once to the White Monastery, in Upper Egypt. The paleographical features suggest that this manuscript was copied in the 10th century in the scriptorium of Touton, in the Fayyum oasis. 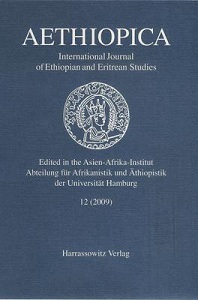 Crum noted in his introduction to the Coptic text that the pseudo-Athanasian writing was preceded in the second manuscript by the Ecclesiastical Canons. He identified seven sheets from the Canons of pseudo-Athanasius, and seven others from the Ecclesiastical Canons. A supplementary leaf in the National Library in Paris (BnF Copte 12914, f. 93) was published soon after by George W. Horner. For his part, Oscar von Lemm edited and translated into German an additional folio in Moscow, which contains the title page of the Ecclesiatical Canons. As for the Canons of pseudo-Athanasius, the inventory was expanded by Tito Orlandi with another leaf, located in the Austrian National Library in Vienna (K 9599, parallels pages 12-13 in Riedel & Crum). To the same writing must be added a new sheet from the same library, which is identified here for the first time. 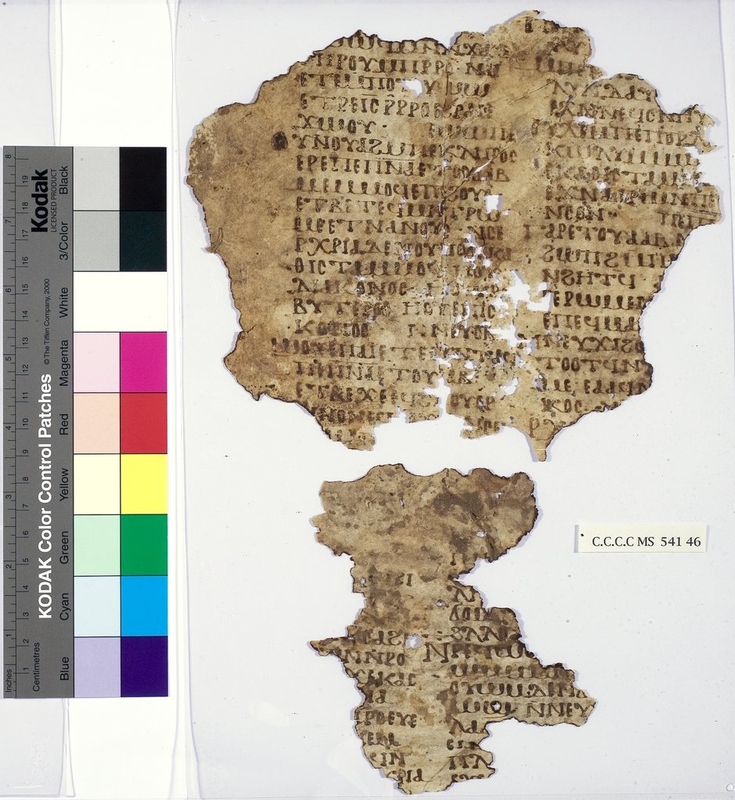 This is fragment K 9854 and corresponds to the first canon of the Arabic version (parallels pages 4-5 in Riedel & Crum). 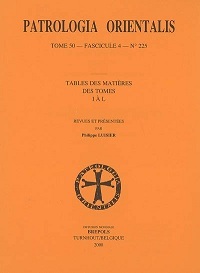 In addition to these testimonies, Henri Munier edited in 1920 two other parchment pieces from the Canons of pseudo-Athanasius, which were at that time in the possession of the Reverend Edwyn Clement Hoskyns. 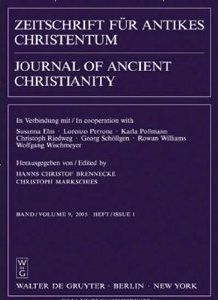 Munier had not seen any of the fragments published by Crum, but on the basis of the paleographical description made by the latter, he suspected that the Hoskyns fragments might belong to the White Monastery parchment codex discussed above. In 1923, Hoskyns donated his manuscript collection to the Corpus Christi College in Cambridge. During my research in the college library, I checked the two bits published by Munier (call number MS 541 46) and I had the opportunity to remark that, despite some similarities, they do not belong to the parchment codex first identified by Crum, but rather to a third manuscript of the Canons of pseudo-Athanasius. The picture below shows that the Corpus Christi fragments were copied by another scribe. W. Riedel & W.E. Crum, The Canons of Athanasius of Alexandria. The Arabic and Coptic Versions Edited and Translated with Introductions, Notes and Appendices (London & Oxford: Williams & Norgate, 1904) ix. G.W. 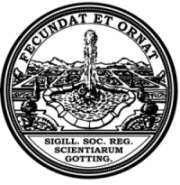 Horner, The Statutes of the Apostles or Canones Ecclesiastici (London: Williams & Norgate, 1904) 459-460. O. von Lemm, Koptische Miscellen I-CXLVIII (reprinted as: Subsidia Byzantina, 11; Leipzig: Zentralantiquariat, 1972) 267-272; reedited with an English translation in A.I. Elanskaya, The Literary Coptic Manuscripts in the A.S. Pushkin State Fine Arts Museum in Moscow (Supplements to Vigiliae Christianae, 18; Leiden: E.J. 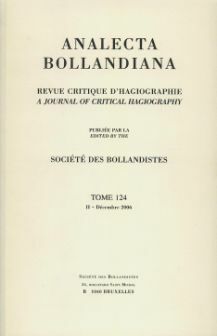 Brill, 1994) 206-211, plates 80-81. See the inventory of codex MONB.BG in the CMCL database, at http://cmcl.let.uniroma1.it/. H. Munier, “Mélanges de littérature copte I: Collection du Rév. E. C. Hoskyns,” Annales du Service des antiquités de l’Egypte 19 (1920) 225-241, at 238-241. On these fragments, see R. Vaughan & J. Fines, “A Handlist of Manuscripts in the Library of Corpus Christi College, Cambridge, Not Described by M.R. James,” Transactions of the Cambridge Bibliographical Society 3,2 (1960) 113-123, at 114 (= no. 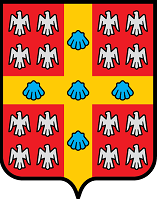 541). The article is available on the web site of the College. 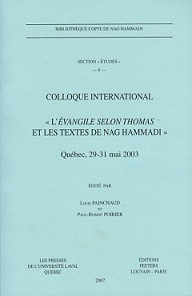 A checklist of the Coptic fragments was prepared by the late Sarah Clackson and is privately circulating. I am grateful to my friend, Christian Askeland, for sending me a copy of it. This entry was posted in Athanasius of Alexandria, Canons of the Church, Patristics and tagged Alin Suciu, Athanasius of Alexandria, Cambridge, Canons of the Church, Coptic Church, Coptic literature, Coptic Manuscripts, Corpus Christi College, Patristics, Vienna. Bookmark the permalink.